Learn How to Make a Knife Without Breaking the Bank! Wayne Goddard’s classic knifemaking book, now revised with even better instructions, shows how to make a knife for $50 or less in tools and materials. It’s perfect for new knifemakers, hobbyists, or those curious about making knives. Makes a great gift, too! Category Knife Books - ShopBlade.com Tag: Knife Books SKU:: N/A Format:Digital Book (PDF), Paperback ISBN: 9780896892958. 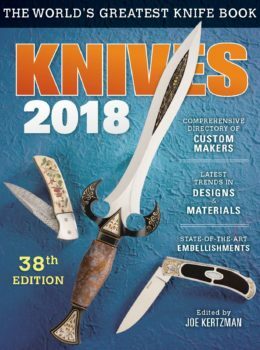 The Classic Guide for New Knifemakers! There’s nothing better than spending time in the presence of an experienced knifemaker, except maybe, learning a few tricks of the trade. In this revised edition of Wayne Goddard’s $50 Knife Shop, Wayne walks you through creating a cost-effective shop of your own, and enhancing your knifemaking skills by getting back to the basics. 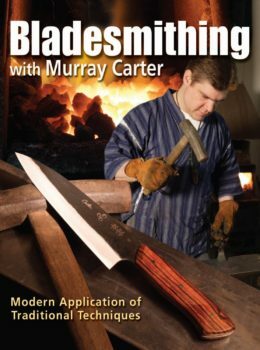 The very book that changed the face of bladesmithing is revamped, with full color photo instructions and the tried-and-true format you will refer to for years to come. It’s often discouraging for a would-be knifemaker to see a well-equipped shop. A simple beginning does not appeal to most folks once they have seen my shop full of machinery and tools. They usually think everything they see is necessary in order to make knives. I heard this comment once, “I won’t be able to make knives, I can’t afford all this stuff !” My stuff makes me more efficient and better prepared to support myself as a knifemaker. It certainly isn’t necessary to get started. I like to tell people about the small table that held all my equipment when I moved to my present location in 1969. I tell them how I made more than 300 knives before I had a belt grinder. I explain that it has taken me more than 42 years to accumulate all that I have. Once they see all my stuff , the damage is often done. Building a homemade grinder and setting up shop under a shade tree in their backyard is not how they visualize the knifemaking process. I sometimes hear the excuse; “My knives would be better if I had better equipment.” I have sad news for those folks. Machines don’t come with whatever it takes to develop the skill to do good work. Regardless of the equipment, it will take many hours and days of practice to develop the skill necessary to do good work. I’ve seen more than a few new makers who had the dollars to obtain good equipment but then became frustrated by their insufficient skill to do good work with their tools. Another excuse I sometimes hear is, “I want to make knives but don’t have the time.” People generally spend their time on what is most interesting to them at the time. It’s a matter of priorities and if they have a genuine desire and sufficient knowledge they will make time for knifemaking. Some people don’t stick with knifemaking long enough to master it. Success usually comes to those who never give up. The most important ingredient for success with simple methods is to have a sincere desire to do.